Last week we introduced Jumping Sumo mini drone, but if you prefer aircraft, the following Parrot Rolling Spider app-controlled mini drone may be more suitable for you. 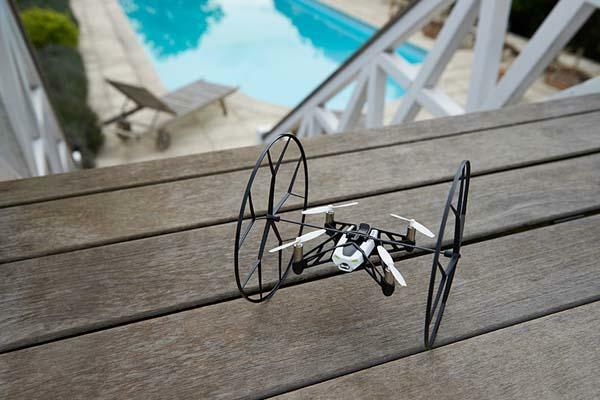 The Rolling Spider is a versatile two-wheel and 4-propeller app-controlled mini drone that sports an ultra compact and lightweight design. 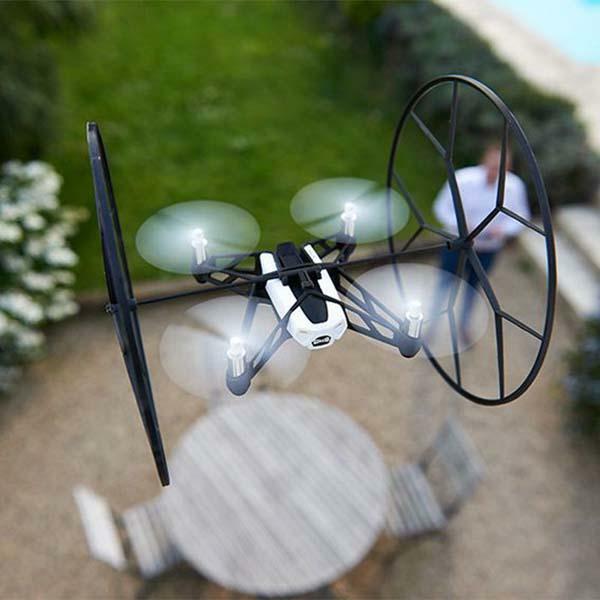 As a flying drone, Rolling Spider comes equipped with four lightweight propellers, and using its flight stability and autopilot system based on a 3-axis gyroscope and 3-axis accelerometer, the flying drone provides you a stable and easy-to-control flight experience, while integrated vertical mini camera helps you capture aerial views. Moreover, when you attach two included wheels on your Rolling Spider, the mini drone can run along floors, up walls, and even across the ceiling. Apart from that, built-in Bluetooth technology allows it to wireless connect with your smartphone or tablet, and its removable rechargeable battery offers up up 8 min of flying time or 6 min with wheels. The Rolling Spider app-controlled mini drone is priced at $99 USD. If you like it, jump to Amazon for more details or check out the following demo video.